Sometimes a film arrives and goes unnoticed, then years after it's release the praise it deserved initially finally comes. For director Steven Soderbergh, this seemed to happen with his 1999 film, The Limey. 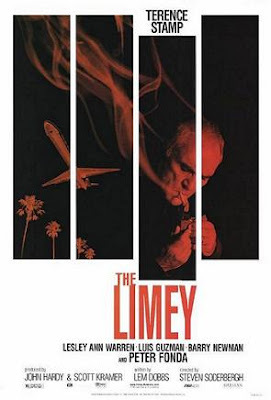 The picture, which stars Terence Stamp as a British convict who just got out a jail and goes to Los Angeles to investigate his daughter's mysterious death. The slow burning crime drama / neo-noir thriller was made for $10 million but only made just over $3 million around the world in ticket sales. Now, 16 years later, it is hailed as one of the auteur's most overlooked gems and one of his best films. Stamp, gives the performance of his career as the ruthless father who makes anything Liam Neeson has done recently seem like a Disney character. As Oscar season kicks off this month, this is a film to go back and view and see how everyone involved made a mistake in overlooking this.